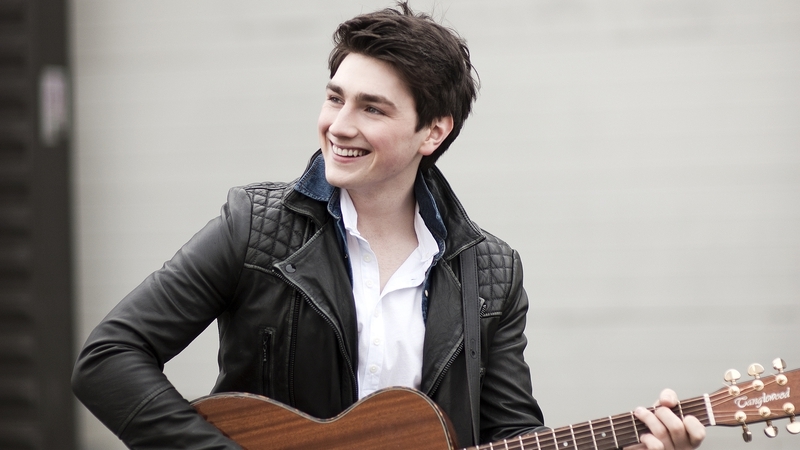 God loves a tryer or so the saying goes and according to Ireland’s Eurovision former boy band member Brendan Murray, he’s ‘Dying to Try’. I feel as though this however couldn’t be further from the truth. Ireland are of course on paper the most successful Eurovision nation in the Contest’s history, winning seven times, but Sweden are hot on their heels with six and are continually delivering hit after hit at Eurovision, whereas Ireland struggle to reach the final year on year. Ireland’s problem is that they just aren’t trying hard enough, they continually make the same mistakes year after year, have dated songs, delivered by average at best singers and put absolutely no effort into their staging. This year is no different. While Brendan has a sweet likeability factor about him- that butter wouldn’t melt face, a soft, innocent, angelic and feminine voice, we’ve seen it all before, and we’ve seen it not qualify each time. ‘Dying to Try’ is lyrically and melodically better than Ireland’s entry last year helmed by Westlife’s Nicky Byrne, and there is no doubting that Brendan is easily a better singer than Nicky in a live arena, but we shouldn’t judge Brendan by Ireland’s past entries, he needs to be judged in relation to this year’s other entries. With Brendan there’s nothing really to root for. There’s nothing to get excited about, and this was always going to be the case when you put Louis Walsh in charge of the decisions. The man is great entertainment on TV, but he hasn’t had a decent artistic idea in over fifteen years. Still living in the hey day of Westlife, Boyzone and D-Side, he has failed to see that music has moved on. We need something more modern and we need something that isn’t a ballad. I don’t mean to focus on the negatives, but Ireland’s sheer lack of interest and effort in Eurovision in recent years has made me irate. The fact that they have done away with giving the public a say in choosing the act, that it is now down by internal selection and that the act announcement has been sidelined to radio over prime time TV also highlights just how important RTE see Eurovision. There is some good to come out of this year’s entry and that I think can be viewed in the staging. Linda Martin revealed last month that Ireland would use the same choreographer for their staging that Australia did in 2016. When I first heard this I thought ‘Oh really? Didn’t that just consist of Dami Im sitting on a box?’ But having seen the rehearsals for Ireland I am a little more optimistic as Brendan seems to be flying in a CGI hot air balloon. Anyway. Enough of dwelling in misery. Needless to say, I can’t see Ireland in the final. Again. For the fourth year in a row. Hang your heads in shame lads. This entry was posted in News, Reviews and tagged 2017, Brendan Murray, Dying to Try, ESC, Eurovision, Eurovision NI, Eurovision Song Contest, Ireland, Louis Walsh. Bookmark the permalink.